From hearty Italian to the exotic tastes of Southeast Asia to haute Japanese, the New York culinary scene has been abuzz with new restaurant openings to satisfy savvy gourmands. We are sure that there is something here for everyone – from the delightfully authentic Rasa to the sinfully delicious Harlow, we have highlighted noteworthy openings and neighborhood favorites to get you through the long winter season. Use this as your guide and you won’t be disappointed. 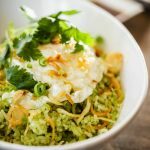 For a taste of authentic Southeast Asian cuisine, try the cozy Michelin star rated Rasa in the heart of the West Village helmed by Chef Tommy and Camie Lai. Spanning the rich culinary heritage of Malaysia, Singapore, Thailand, and sushi, Rasa serves favorite regional dishes such as the spicy Penang Assam Laksa that takes a spicy lemongrass and tamarind laced fish broth and balances the flavors with prawn paste, mint and pineapple. Other starters to whet the appetite are the crispy chicken popcorn with a chili sauce, crispy soft shell crab, malay curried wings, or spicy tuna pizza with avocado. For the main courses choose from soul warming curries, adventurous and creative sushi rolls, miso black cod, a spicy and sour seafood clay pot, or Thai style stir fried noodles like Indian Mee Goreng, or the spicy and tasty Drunken Noodles. Another specialty is the classic Hainanese chicken from the Hakka region that is steamed with a tasty garlic soy and chili sauce, a perfect place to go to satisfy those pan Asian cravings. 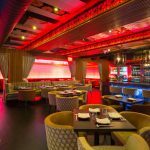 Located in the heart of Clinton in the former Ember Grill space, is Obao Hell’s Kitchen that offers a modern interpretation of Thai and Vietnamese street food in a chic Asian inspired setting. 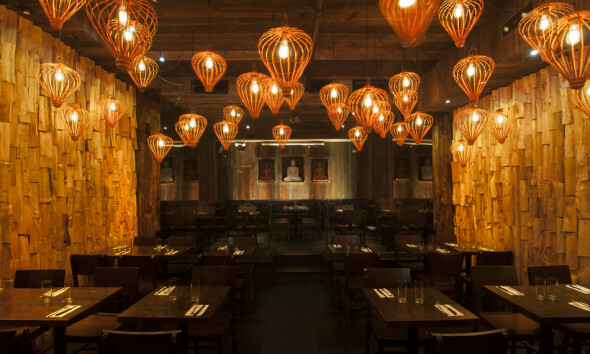 Rustic wooden floors and paneled walls are accented with hanging red lanterns balanced by the calming presence of stone Thai Buddhas make you forget you are in New York. Signature favorite dishes are the Sambal spiced calamari, spare ribs on sugar cane skewers, claypot caramelized catfish, along with their tasty and succulent thinly sliced spicy lemon grass kalbi short ribs, and creative pad thai made from shredded papaya. To complement the spicy and sweet menu items, Obao has created an extensive cocktail list that uses exotic Southeast Asian flavors like tamarind, Mekong, and thai chili. Winning the Michelin Good Value award, their $8 special is one of the best deals in town. For the Japanese, the Kaiseki is an art form that balances the taste, texture, appearance, and colors of food making it the most celebrated and formal culinary tradition of Japanese haute cuisine. With roots in Zen Buddhism using the rituals of a Japanese tea ceremony, this multi course dinner is beautifully presented with careful restraint and uses seasonal ingredients with ornate and edible garnishes. Choose to dine in a Western setting or on tatamis for an authentic Japanese experience. For the Winter, Hakubai is offering a $98 Seasonal Kaiseki with a variety of exotic small traditional tastes like sea urchin in dashi broth, monkfish liver with ponzu sauce, burdock in beef with a yolk sauce. Traditionally it is followed by clear soup, sashimi and a cooked fish appetizer. The main course is the more familiar prime rib, sashimi or tempura, followed by a miso soup to cleanse the palate, finishing off with a dessert. Hakubai is one of the few formal restaurants to experience this artful cuisine that has been part of the Japanese culture for thousands of years. Kokum, is Curry Hill’s latest addition that pays tribute to the gorgeous resort area of Kerala that is known for its variety of seafood and its mixture of flavors- hot, sweet, and savory. As part of the empire by successful restaurateur, Shiva Natarajan, who brought us Chote Nawab, Malai, Marke, Dhaba, and Chola each restaurant represents a different regional cuisine throughout India. The common thread reverberating in each establishment is the way he infuses authentic dishes with contemporary ingredients and techniques that creates unique flavors and textures. What keeps the regulars coming back for more are the spicy goat curry, meen peera- flaky fish with coconut, spicy chicken sautéed with green chiles and curry leaves, Kerala crab roast, and the succulent chicken chicken chettinad. A way to experience a myriad of flavors from Kokum street food is on the Southern trolley which features vegetable uttapam, crepes with chutney or coconut, onion dosa, and rice puttu that are served with your choice of savory curry and stew toppings. Paired with their creative cocktails this will be an unforgettable dining experience. Teqa is known for their modern interpretation of contemporary Mexican cuisine, and newly appointed Executive chef Steve Cruz, is raising the bar with his tequila fueled menu that tantalizes the senses. Start with his sweet, savory and sticky guava grilled BBQ wings that are long remembered even after the meal. Or try the crispy sopas in grilled chicken, braised short ribs or pulled pork. Warm up with one of his aji Amarillo roasted sweet corn or black bean cotija soups that are perfect for a winter night. For the main course, their house specialty is the seven hour tamarind bbq boneless short ribs that are tender and tasty, or choose from a variety of crispy tacos with mahi mahi, pulled pork, short ribs, or chicken tinga. As a tequileria, Teqa is best enjoyed as a group to enjoy the vibrancy of the cuisine over a variety of shared plates and of course specialty margaritas infused with unique flavors like hibiscus or tamarind. Best of all, Wednesday nights are ladies night where the drinks are half price. Chef Ariel Fox knows about the right ingredients to put together a Gotham hotspot. From her tenure at the One Group where she created the culinary menu for the successful string of STK restaurants to launching Nolita’s trendsetting Acme restaurant she is one of the most celebrated female chefs in the city. As the chef de cuisine at Hardings, she brings her expertise in slow food and farm to table specialties. Celebrating the artisanal culture of American cuisine, Hardings presents Americana nostalgia in a speakeasy environment with dark wood floors, antiqued furniture and exposed brick walls, the bathrooms are even lined with old New York Times clippings spanning the last half century. Using seasonal and organic ingredients, start with the sausage stuffed baby peppers, grilled octopus carpaccio, or fluke crudo. The cast iron ribeye is seared to perfection, the cabernet braised shortribs melts in your mouth, and the seared sea scallops with stout reduction is also a house specialty. Just like her string of trendy restaurants that Ariel Fox has opened, Hardings is one of those destination spots that attracts the beautiful people. 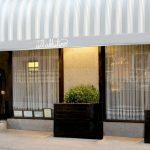 Nightlife veterans from the NYC nightlife and culinary scene have teamed up to produce the Upper East Side’s newest Italian farm to table dining experience, Cucina Ciano. 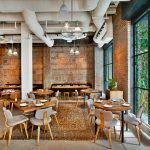 The team behind this dining concept has a proven track record of producing some of the city’s most successful hotspots- Stratis Morfogen owns Phillipe, Unik Ernest was behind Gin Lane, PM, Merkato and Bijoux, with Tin Hyunh as the executive chef. Expect an incredibly chic décor as it was designed by Morfogen’s wife, former Vogue accessories editrix Filipa Fino, whose taste is reflected in the Hamptonesque airy feeling of the interior with sunny cushions to accent the exposed brick walls and white interior, while the downstairs private dining room and wine cellar has a private English club feel to it with pearl grey velvet banquettes and darkened wood slat walls. 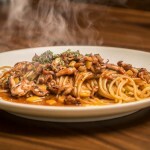 Fresh takes on Italian contemporary cuisine include balsamic glazed octopus, spicy veal meatballs, strozzapreti with duck Bolognese, and veal chop parmagiana with amantriciana sauce. Ciano is like a breath of fresh air in the sea of eateries in the Upper East Side. Reminiscent of the decadence of a bygone Old Hollywood glamour, Harlow has recreated this elegant ambiance of yesteryear in their swanky seafood centric hotspot housed at the base of the Lombardy hotel. Nobu alum and restaurateur Richie Notar has tapped Executive Chef Danny Ye to create a menu with an Asian influence and created a menu with a lighter touch from his experience in the best kitchens in Los Angeles. Serving some of the best crudo and raw bar selections in the city, start with hand picked oysters, Hamachi, gravlax or ceviche accompanied by yuzu or light mignonette dressings. For indulgent appetizers the lobster truffle mac n cheese and king crab and urchin strozzapreti are a perfect segue way into the main course. A favorite is the Fisherman’s stew brimming with clams, mussels, monkfish, lobster in a delicate cream sauce, or the diver scallops with truffle butter and sunchoke puree. Leave room for the unforgettable and decadent Bananas Zapin created with caramelized bananas accented with caramelized chocolate peanuts and peanut butter gelato. Savor the scene with a frozen Pimms cup with watermelon granite, cucumber, and ginger lime foam, or sip on an old school cocktail and enjoy how the beau monde live. Conveniently located on the street level of Bloomingdales, David Burke Bloomingdales is a casual spot for refueling after a long day of shopping. And now every Sunday and Monday all day, while the women shop, our male counterparts can enjoy the Football Burke in the Bottle deals to catch their favorite NFL games and dine on the $20 special that includes the famous juicy Burke burger, fries, salad, and a bottle of “Burke in the Bottle Smoked Sour & Rye.” Other game friendly options to satiate the senses are his signature items that are served throughout the Burke empire like the fresh popovers to start the meal, lobster dumplings, BBQ chicken wing dumplings, creamy lobster bisque, cobb salad with generous heapings of lobster, lobster mac n cheese, and crispy crab cake sliders with truffle aioli fries. All the cocktails are created from fresh ingredients with new twists on classics served by the glass or liter. Their “Ultimate bloody mary” earns its name made in a Key West style with a smoked maple Applewood bacon stick, and their cucumber basil martini is a fresh take on the James Bond classic. A sweet way to end the meal is with their bite sized cheesecake lollipop tree with a crunchy chocolate shell accompanied by bubblegum whipped cream. Established in 1969, Bobby Van’s Steakhouse has become a staple of New York City dining. Founded on the principles of quality food and superior customer service, Bobby Van’s maintains the same high standards more than four decades later. 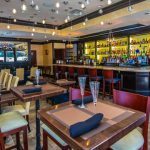 Bobby Van’s Steakhouse has grown to include five restaurants as well as a takeout burger joint called BV’s Burger. 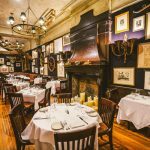 The friendly staff, warm décor and prime selection of steaks, chops and seafood at Bobby Van’s create a true New York steakhouse experience. Known for its classic steakhouse fare, Bobby Van’s serves a variety of steak dishes including the traditional Porterhouse Steak (a premium cut of beef that can be shared between 2-4 people) and its signature Filet Mignon (a prime, tender cut of beef with exceptional taste and texture), as well as fresh seafood options such as Chilean Sea Bass (prepared with Miso & Tamari glaze and served with asparagus, Bok Choy and Shitake mushrooms in a white truffle fish broth). 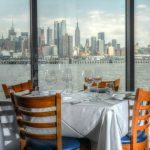 Each of Bobby Van’s five New York City locations offers a unique experience for Bobby Van’s customers, while upholding the superior qualities that make Bobby Van’s Steakhouse a New York icon. Though the summer is long over, “crustacean-vores” can satisfy their shellfish cravings and seafood boils at the reasonably priced Crab Spot in Park Slope that are as good as the quaint seaside crab shacks in Westport or Montauk. Serving every kind of crab from Dungeness, snow crab, Alaskan king or blue crab have it prepared simply steamed, prepared with a spicy garlicky chipotle BBQ boil or grilled. Seafood mixed pots are perfect for sharing and include a mixture of different crabs, mussels, lobster, littlenecks, crawfish, prawns, scallops, sausage, corn and potatoes for $24-$44. The most popular night is their Tuesday all you can eat Blue Crab special for $34.99. Alluring, illuminating, with a hint of the illicit, Ilili is the tantalizing tastes of Lebanon piqued by chef Philippe Massoud’s own cosmopolitan flair. Make no mistakes about the Lebanese food; it is a rich culinary tradition that dates back to the Phoenician empire, and one that went through several reinventions with French infusion being the most recent. That their Mezze approach shares much in common with Tapas means that feasting can include anything from twelve to thirty dishes – each invention boasting a variety of unique flavors and approaches. Whether indulging in the Citrus Trout set adrift on a sea of Arugula, smoked almonds and orange tahini, or taking to the land with the tender textures of the mixed grill, Ilili suffuses your palate with herbs and spices that recall an interdisciplinary world of nuance and finesse. As personal favorite go, the Golden Tile Fish served alongside Baby Spinach, Lamb bacon and a Nicoise Olive Consomee is a brilliant juxtaposition of subtle textures and idiosyncratic bursts of essence. With ambient music swelling from between what passes for a cavernous bi-level organ of a space, Ilili is a post-modern take on classical eastern symmetry. PreviousPrevious post:What Does Google Know About Me?NextNext post:Will 2014 Be the Year of the Bitcoin?